The Chevrolet Cruze has been tweaked and revised for 2015 and it now wears refreshed sheetmetal, while a slew of interior enhancements like a 4G LTE Wi-Fi hotspot help round out the updates. 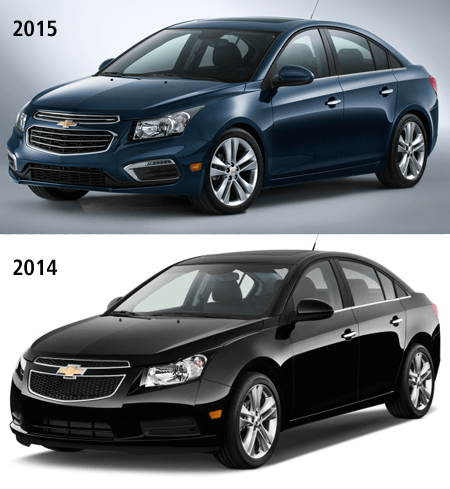 The Cruze’s new exterior styling cues were inspired by the all-new Chevrolet Impala and the restyled 2014 Malibu. New, larger air-vents sit under the revised headlamps while the twin grills have been very nicely reshaped. It’s a great update that really suits the Cruze well, at least from where we’re standing. All in, the Cruze lineup now consists of LS, LT (1LT & 2LT), RS, and LTZ models, as well as the Cruze Eco and Cruze Diesel, which delivers an estimated 5.1 L/100km highway (nine percent greater than Volkswagen Jetta TDi). 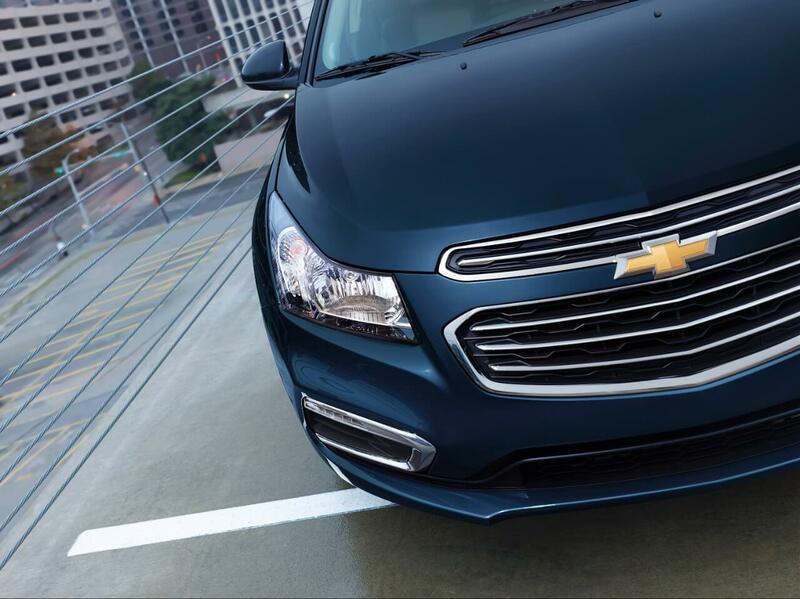 The Cruze is a cornerstone of Chevrolet’s new vehicle lineup– it’s Chevrolet’s best-selling car around the world and more than 2.5 million have been sold globally since its launch in mid-2010. or give us a call today at 1-888-878-2354 to set up a test drive.